"When the spider dies, the web unravels." The enormity of collective alienation is one of many central themes driving Luis Buñuel’s “The Exterminating Angel,” and within that suggestion exists a mystery of unfathomable density that continues to incite varying degrees of confusion and dread, sometimes in shared measures. What gives it a decidedly potent edge has less to do with the conceptual audacity of the idea and much more to do with the delivery. Nothing going on in the film – save for key dialogue exchanges that occasionally frame the crisis – comes from a dependable perspective; like witnesses twisted by the absurdity of a predicament, the camera sees things as if displaced from certainty, and the screenplay relays details in broad strokes that merely imply what might be occurring. Are there supernatural elements at play? Is the title, a biblical reference, inferring greater energies are at work? Or are there only simple explanations staring back at us dressed up in the misleading strokes of minimalism? Because so little of what occurs to this ensemble of characters happens in a conventional sense, there is no clear way to decipher agendas, reasoning or solutions. Our eyes meet the gaze of a screen that stares back with a resilient poker face, and sparse are the opportunities for us to gauge the general intention – assuming it amounts to something so easily classified. Puzzle films often consist of agendas meant to come to clarity with repetitive examination, but this, one of the most celebrated prizes of Mexican cinema, endures with a strange mystique that baffles even the most intrusive of investigators. When it came to notice at the height of the director’s late career revival, the initial response was an equal mix of fascination and controversy – intriguing for creating so many gray areas and unsettling because of just how deeply the messages ran, assuming that audiences could find them. They were, perhaps, also thrown off by the misleading essence of the exterior. Here was an elegant film about socialites at a dinner party engaging in the comforts of rude luxury, which then descended drastically into a conflict that could not be explained, lacked all formal insight and robbed viewers of the pleasure of a cohesive message (or even a plausible ending). For many years it violated the quintessential function of the medium, causing confusion in place of specifics and abandoning reason in favor of a silent point that didn’t seem to result in any singular conclusion. What Buñuel effectively did was make a film that could sit crudely between the measurements of space and time, allowing his messages to stand untainted by the vague analysis of the common viewer (most of whom would attempt to reason with it all in a literal sense). To him, such sorts were mirroring the challenges of his characters, who too lacked the critical thinking to see beyond their self-imposed prison; he wanted observers who could sense the inner-workings of something more vast than a mere argument, and hoped to leave them with ideas that would take more than moments to deal with. What occurs to the people who populate “The Exterminating Angel” is the stuff of paralyzing dreams, where circles are caught so heavily in the monotony of their indulgences that it quite literally traps them in something that defies logic and definition. Explanations – even the most direct – cannot accurately depict the significance of these ideas. The movie takes place over the course of one complete day, beginning late one evening – on Providence Street, a key shot informs us – when a cluster of chatty socialites descend on a mansion to eat, drink, gossip and celebrate following a night at the opera. The party, hosted by the engaging Edmundo and Lucia (Enrique Rambal and Lucy Gallardo), promises to be one of grand excitement, and when they arrive they settle into the dining parlor with the conviction of seasoned jetsetters, all of the servants urgently vacate. This, Buñuel emphasizes, is a routine of monotony – established further by the notion that he plays one critical early scene twice, shot from two angles to highlight the ambivalence of their awareness (an additional 20-something examples of déjà vu are intentional, and have inspired repeat viewings just for the sake of pinpointing such moments). Why are they there at all? They have the intention of releasing the film’s buried metaphors from the elusive suggestion of wonder. Unlike the director’s earliest work, “The Exterminating Angel” doesn’t just want us to sense the possibilities of an argument – it wants us to reach the decisive point. What that point exactly is varies depending on whose interpretation is credited, but there is some level of certainty meandering in the thick of these strange circumstances. After the dinner guests have exhausted their welcome in a meal filled with biting sarcasm and hushed dialogue, they move themselves into a nearby drawing room, where they exchange innocuous platitudes before curling up to sleep on couches and in closets. The following morning, each of them – including their mystified hosts – are marveled by the inexplicable nature of events. None of them is able to leave the room, and worse yet there is no direct explanation as to why; lost in a thought process that has seems to have been worn down by excessive repetition, it’s as if they’ve simply forgotten how to move from one room into the next, much less leave the mansion entirely. The mind of a conventional viewer will leap directly to sensational explanations. “It must be supernatural,” they will argue. “There is a force in that house that is preventing them from moving,” others will suggest. 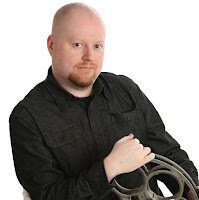 While such attempts to reach decisive conclusions are common (and even principled), they undermine the functional complexity of the movie; nothing is easily explained, because the views that influence the undercurrent of the story are far too intricate to dismiss in soundbites or casual assumptions. 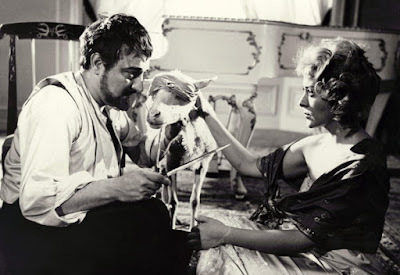 When Buñuel made the movie towards the end of his lengthy exile in Mexico, he had weathered the responsibility of artistic suffering for far too long to be forgiving of primitive human conditions. To him, these were not so much characters as they were pieces of a social structure he found hypocritical (and comical). Consider the three primary factions from a cultural outlook, for example. If the party guests represent the bourgeoisie, then the servants – strangely eager to vacate the party in the earliest throes of it – must be expatriates, fleeing the scene as they sense the impending likelihood of discord. As the film cuts occasionally to the exteriors of the mansion to observe strangers on the street, their identity becomes one of collective complacence; they discuss and question what is going on inside the walls of that dark mansion but cannot anymore bring themselves to venturing inside than the dinner guests can walk away. These are not individuals, but pieces of a mentality that cannot extend beyond their own consolations. Things unravel in rapid intervals. Characters become anxious, dejected, even threatening to one another. Others are stricken with dehydration; later, some of the more ambitious hack their way into a nearby wall to expose a plumbing pipe. A suicide occurs in a nearby closet. When one of them grows sick, a doctor mixes up his analogies and announces, “He will be bald within a week.” And then there are classic Buñuel visual touches that cloud the certainty further: one of the guests is chased by a severed hand, and a trio of lambs wanders into the parlor and is consumed, quite literally, by the ravenous instincts of the imprisoned guests. Because the director so frequently took great delight in undermining the literal sense of casual viewers by using such blatant symbols, his messages – whatever they may be – seem bathed in a great sense of metaphorical decadence. Are these corrupt and polarizing class systems a mere projection of what he saw, or are they part of a vicious cycle passed down across time? Perhaps the title – referencing Abaddon, the angel of the abyss – is key in establishing an anchor. If Buñuel was a fluent interpreter of dreams as far back as “Un Chien Andalou” – his famous masterpiece from 1929 – did he come to regard himself as such an angel, casting these people into their own prison as a means of highlighting the paralyzing nature of their selfish indulgence? I saw “The Exterminating Angel” years ago as a supplement to my studies on famous film directors, but the existential crisis in that strange parlor did not inspire much beyond detached fascination. It seemed like a caveat meant to reflect a time and place I could not identify with. But over the years there has lingered an intrigue with those ideals, especially when one comes to sense their purpose beyond the scope of a time-bound audience. That’s because Buñuel’s values are like seeds planted at the column of basic awareness, meant to take on power with experience and evolving perspectives. They are like unnerving magic tricks that defy explanation. Others knew the power of the statements, however, and indeed many of them were echoed prominently in films throughout European cinema (the most famous example being “Weekend” by Jean-Luc Goddard,” who used Buñuel’s own title – and sensibility – one of that film’s key sequences). And because the state of the world was still being overrun by imbalanced class systems throughout the 1960s, that only added urgency to the themes, and inspired thinkers much in the same way that non-conformist poets were hypnotized by the Beat movement. Yet we seldom here about “The Exterminating Angel” or any of its intentions today, even as its famous director persists in the minds of many modern filmmakers (including Aronofsky, Nolan and Anderson, all of whom have cited him as a key influence). The distinction between him and those he inspired comes down to the conceit of simplification that viewers (even those of independent films) have come to expect of their endeavors. Whereas a movie like this insists on repeat viewings in order to comprehend the very basic ideas, moviegoers of our generation have been spoiled by the prospect of literal translations, allowing them to bypass the need for deep investigation. To them, there is no longer a desire to be in synch with a film’s hidden sensibilities if directors consistently implore more momentary reasoning. That is not to say that the concept is entirely extinct, but how elusive names like Buñuel and Robert Altman – two of the most intricate filmmakers of the past – might seem as we progress deeper into that shortsighted philosophy. The key to connecting with the material on any cerebral level, I feel, comes down to embracing the psychological complexities of auteur theory. One of the more curious footnotes in that thinking is the acknowledgment that such directors (and their creations) do not have to conform to the rules of a linear narrative – that if they can liberate themselves from general perceptions and begin to see some of these experiences in a dream world, then we as the audience can bypass the restrictions of a story and bathe in the rich oils of their ideas. Among a gathering of directors like Ingmar Bergman and Goddard – who penetrated to the membrane of that philosophy – even Buñuel must have seemed far ahead of that curve. This was a man who came to artistic depth in collaborations with Salvador Dali during the silent era, helped spearhead the surrealist movement in Europe, found new ways to affect his work as a result of persecution and exile and then returned to France in his sixties, where he made the most resonating – and informed – pictures of his career (including “Belle de Jour,” his finest). What would conversations between them all have sounded like, especially since most of them must have seemed like such novices by comparison? One guesses their discussions might have played out eloquently in a crowded drawing room, each of them paralyzed by their own persistent fascination. 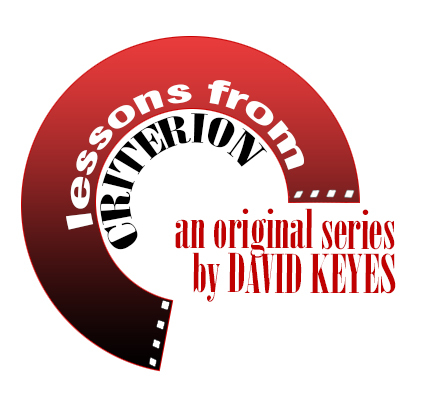 "Lessons in Criterion" is a series of essays devoted to exploring the films released within the Criterion Collection on Blu Ray and DVD. Noted for their notoriety or importance in their effect on the evolution of cinema, these films are not rated on the 4-star scale in order to preserve the intent of the work, which is to promote discussion and inspire thought on their relevance in the medium. More information on this and other titles can be found at Criterion.com. "The Exterminating Angel" is the sixteenth article in this series.